I really enjoy going to the ice cream shop and getting Red Bull Italian Sodas. I love, love, love slushies and figured there must be a way to make something similar into a slushie. 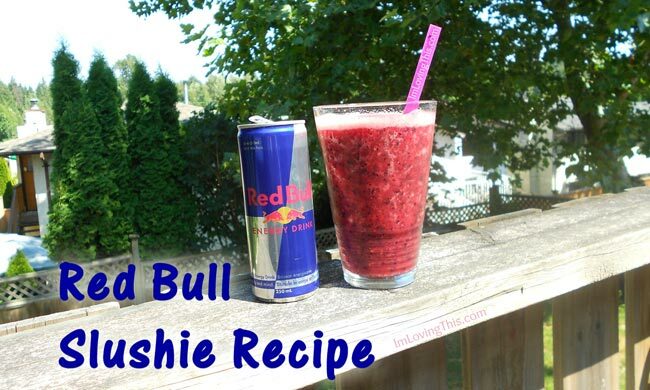 This Red Bull Slushie is very easy to make and you can switch it up with whatever fruit you have on hand. If you use frozen fruit the consistency will be more like a slushie as opposed to using a bunch of fresh fruit. 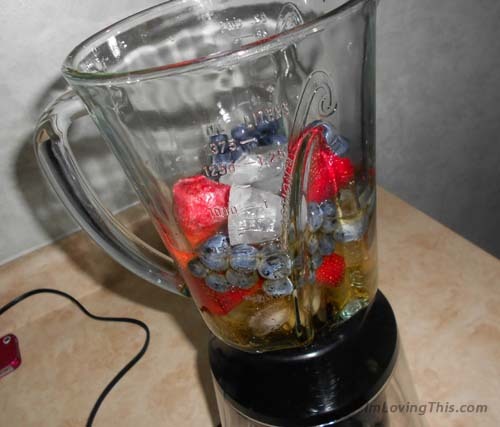 If you use all frozen fruit you can even eliminate the ice completely and it will be more flavourful. Make sure you use a cold Red Bull or it will just melt all the ice when you put into the blender. If it isn’t sweet enough for you than just add a spoon of honey or sugar until you get to the sweetness that you desire. I used about two handfuls of blueberries and two handfuls of strawberries, a cold Red Bull, and then about 6 ice cubes. Then I threw it all into a blender and blended it up until smooth. If you are using frozen fruit you can eliminate the ice cubes, which will also make the slushie sweeter. 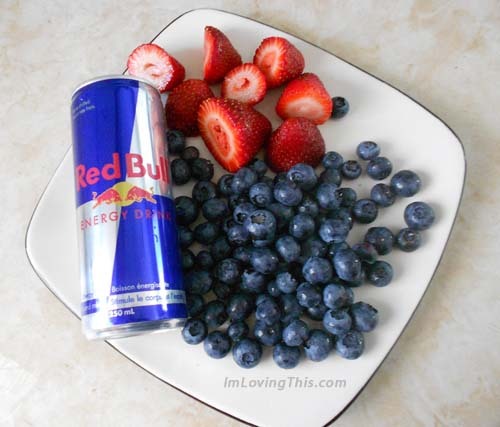 If you don’t like Red Bull, then omit it and just use some apple juice and add some sugar or honey if you’d like to sweeten it. Wouldn’t recommend mixing alcohol and red bull together…bad idea.